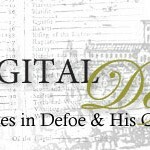 Digital Defoe, an online journal and pedagogical resource. Bampton Classical Opera perform Bononcini, Eccles and Handel at the Wigmore Hall. 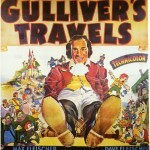 Compares four major film/TV adaptations of Gulliver's Travels (1939, 1960, 1996 and 2010). From Molière's bonnet to Talma in full swing: a grand sweep of theatrical history in Paris. Early nineteenth-century shock and awe at Tate Britain. A loan exhibition parading a diverse group of portraits of early actresses and dancers, including major works by Gainsborough and Reynolds. A CD launch concert by L'Avventura London, focusing on Italian music and musicians. A review of Austen film appropriations, focusing on a Bollywood reworking of Emma. The Electronic Enlightenment database is a prime example of how digitization is changing scholarly research in eighteenth-century studies. A rare showing of the surviving musical paintings and drawings by Marcellus Laroon (1679-1772) and Marcellus Laroon the Elder (c. 1650-1702).